DonahueFavret wins its 11th Eagle Award from Associated Builders and Contractors. DonahueFavret has expanded its ownership to include five key employees. 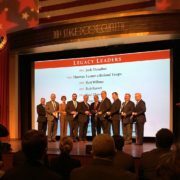 ABC New Orleans/Bayou Chapter recently recognized its Chapter Legacy Leaders, who were the chapter’s founders and earliest leadership. DonahueFavret Contractors received an Excellence In Construction Award from ABC Bayou Chapter for Starlight Studios. The Desire Street Ministries project has been selected for an Award of Merit by ENR Texas & Louisiana in the Small Projects category of the 2017 Best Projects Awards. 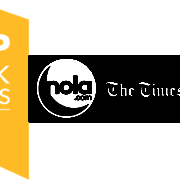 DonahueFavret was announced as 19th on the list of 2017 LSU 100: Fastest Growing Tiger Businesses at the award ceremony on October 5, 2017. DonahueFavret Contractors, Inc. announced that its work on the Tulane School of Social Work in New Orleans, LA has earned the company a National Excellence in Construction Eagle Award from the Associated Builders and Contractors (ABC) in the Institutional – Less Than $5 Million category. DonahueFavret Contractors, Inc. has been awarded 2 Best Project awards for 2015 by ENR Texas & Louisiana. An award ceremony was held December 8, 2015, in Houston. We couldn’t be more proud of the way our Chairman, Senator Jack Donahue has represented our area of the state in Baton Rouge. See the article about him in the September/October issue of Inside Northside magazine. DonahueFavret Contractors, Inc. has been named the Lend Lease Americas Development 2013 Construction Partner of the Year – Team. DonahueFavret is constructing the Lakeview Regional Medical Pavilion in Covington, Louisiana, with Lend Lease as the owner of the project. The $10.7 million project is scheduled for completion in early 2014. This site is for authorized use only. If you need help logging in, please contact us at (985) 626-4431.